An initial moisture inspection is completed according to the MWC Inspection Protocol. 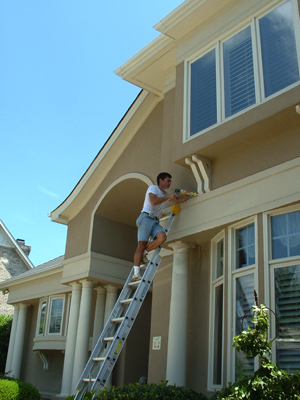 A Certified Repair Analysis (CRA) is prepared for the homeowner by our professionals at Moisture Warranty Corporation, detailing repairs which are required on the home for it to qualify for a MoistureFree Warranty. This CRA is provided to the homeowner/Realtor with a list of qualified repair contractors in their area. A contractor is selected and repairs are made. Once repairs are completed, a follow-up moisture inspection is required. This inspection is provided by the moisture inspector to verify that the work specified in the CRA has been completed in accordance with the requirements for a MoistureFree Warranty. It is important to note that MWC does not certify repair contractors who are also in the business of moisture testing stucco systems since this would be a conflict of interest. 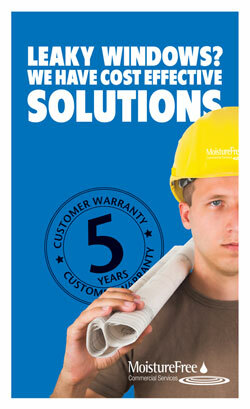 For more information about becoming an MWC Certified repair contractor, call 1.800.400.8679 ext. 154. Since the common objective for repair contractors and MWC is to keep our customers’ homes dry, MWC requires that repair contractors back up their work with an 18-Month Repair Contractor Guarantee. This guarantee only applies to the actual repair that was made to the home and does not apply to any other area of the home that the Certified Repair Contractor did not repair. The limited guarantee only requires the Certified Repair Contractor to modify the failing area to bring it up to warranty standards. If it is determined that the repaired area failed due to no fault of the repair contractor, MWC will be responsible for the cost of additional modifications based on the terms of the MoistureFree Warranty. If you know of a homeowner who would like to submit his/her home for warranty consideration, you may download the form and give it to the homeowner or a qualified moisture inspector to complete. The home must be submitted within 90 days of a qualifying moisture inspection.